We have smoke detectors and carbon monoxide detectors. They live in our houses, sniffing the air for nasties, and causing a right stink if something has gone horribly wrong. Norwegian company Airthings wants to add Radon to the list of things you constantly monitor for, with the Wave radon detector. The well-designed detector takes a couple of AA batteries which power it for about 18 months. The $199 detector is paired with an app for warnings and configurations, but it also has a smart color LED ring, with a stoplight approach: Green is cool, red is “ack, we’re all going to die.” Well, eventually. Unlike smoke and CO2, Radon is a slow killer. Scary, for sure, but it lacks the urgency that makes people install smoke and CO2 detectors. The concept of a Radon detector seems like a pretty good idea. The app and product itself look lovely. Let’s face it, though: $200 is a lot of money. The EPA offers tests for $15 or $25 depending on the type of test you need. On Amazon, Radon testers are available for $8. As far as I’m aware, most radon problems are binary; either your area / house has a problem, or it doesn’t. If it does, you deal with it. If it doesn’t, well, it’s a moot point. Airthings Wave is a well-designed piece of kit, but at $199, I suspect it will struggle to find a market. I can’t speak to the quality of $25 testers, but if radon problems are binary, and your house has a problem, the Wave will be useful very briefly. If your house has radon problems, the Wave will just beep and turn red. You need to deal with it in due course, but it doesn’t really feel like it’s worth the investment. 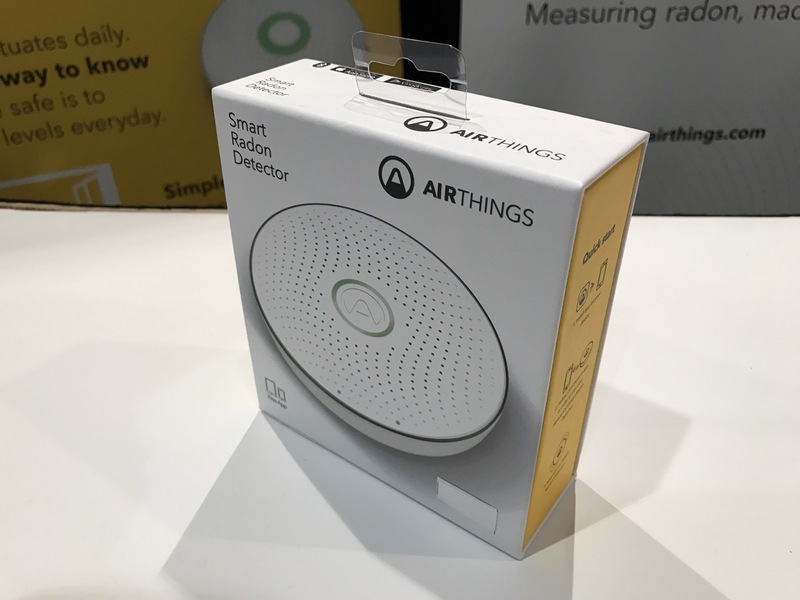 In my mind, if Airthings’ Wave also did carbon monoxide and smoke detection, it would make sense; $199 for an IoT-enabled sensor that checks for all the nasties in your house sounds like about the right price. We could argue that Radon is an under-investigated gas, of course, and you can’t argue with the EPA numbers. If it’s true that 20,000 lung cancer deaths annually are caused by Radon, that’s a genuine problem that ought to be dealt with. I’m just not sure a $199 smart device is the solution.